There are many familiar references to the Dove in Jewish literature. Certainly, the Dove is remembered in the story of Noah and the Flood, and as a symbol of peace. I have posted previously on Birder’s Journey (click here) about the Columbaria or Dovecotes, which housed the Doves and Turtledoves used in Temple sacrifices 2000-3000 years ago. But we also hear about the Dove in connection with the Biblical Book of Ruth, which will be chanted in synagogues around the world next week, during the holiday of Shavuot. Ruth, the ancestress of King David and King Solomon, is described in the Talmud as one of ‘the two doves’ that would be brought forth from Moab. In fact, when the letters are reversed, the name Ruth in Hebrew (רות) is equivalent to the word for Turtledove (תור). King Solomon‘s Song of Songs also uses the Dove as a metaphor for the Jewish people, and the Midrash tells us that, just as doves are faithful to their mates throughout their lives, the Jewish people are faithful to G-d. (Voice of the Dove). 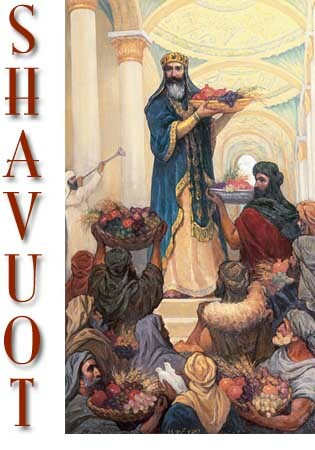 Many verbal and visual depictions of the festive procession to the Temple during the annual spring holiday of Shavuot include the image of Turtledoves tied to decorative baskets, filled with the pilgrims’ First Fruit offerings. This entry was posted in Birds, Judaism-Birds Connections and tagged Columbarium, Midrash, Shavuot, Turtledove. Bookmark the permalink. Great post! I love your research nuggets. Who knew? Amazing how many connections there are! Doves are so lovely, and your photos are wonderful, BJ. Lately I’ve been hearing a dove cooing outside my front door every night around 6. I stop what I’m doing and just listen to this gentle message. What a beautiful description, Jet. How fortunate for you! I especially love the sound of the Mourning Doves. Wonderful to learn about Doves. I love these photos, Bj! We have two pairs in our backyard. So glad you enjoyed the post, Amy. It must be lovely to have them in your yard. Thank you! I appreciate your stopping by, Barbara – thank you! I always love hearing the doves in my garden. We get quite a few of them even though I stop feeding their seed right now. They should be on insect hunt for the babies. I enjoyed your post and information. I guess them as a symbol of peace may be in other religions too. I wonder if that is so? I hope that doves are a universal symbol of peace for us all. Thanks so much, Donna! I love doves, and we have many Mourning Doves around our garden right now. Your pictures are beautiful and your biblical references very interesting! We had a lot of Mourning Doves nesting a few weeks ago, but I was away for a bit and never saw the babies. I think they get often lost in the excitement over all the Heron and Egret chicks we have.